A Schism in the Church? In 1973, Our Lady of Akita, in an approved apparition which took place in Japan, said that, "The work of the devil will infiltrate even into the Church in such a way that one will see Cardinals opposing Cardinals, Bishops against Bishops." Could this prophecy be coming true in the dispute over the Apostolic Exhortation of Pope Francis, Amoris Laetitia, on the issue of admitting Catholics who divorce and remarry without an annulment to the Eucharist? Four prominent cardinals have asked Pope Francis for a needed clarification on this issue. It appears that the Pope is not going to respond. Deacon Tim and Cyndi discuss the history of the controversy and its implications for the Church. Yes, Deacon Tim says emphatically, you are a leader. Maybe not in the conventional sense, but Christian leadership does not depend on having a formal position of authority. Deacon Tim and Cyndi discuss the issue of leadership in a Christian perspective, and they explain how each of us has more influence than we think. We need to use it well! The year 1917 was one of the most significant in human history, so significant that it brought about the appearance of our Blessed Mother at Fatima, Portugal. In her appearances at Fatima, she spoke about the evils that would take place if people did not pray enough. Deacon Tim and Cyndi discuss the messages of Fatima and how, as acknowledged by St. John Paul II and Pope Benedict XVI, the prophecies of Fatima are applicable to the present time. We think prophecy means foretelling the future, but that's not really what it means in its religious sense. Prophecy means bearing the truth of God, speaking and teaching the Word of God. Prophets always stand out, because they seem extreme. In the Old Testament, there is a constant cycle in which the Jewish people are generally faithful, fall into sinfulness and then have to be called back to fidelity. That calling back was the role of the prophet. As baptized Christians, we share in the ministry of Jesus as priest, prophet and kind. In this show, Deacon Tim and Cyndi talk about the role of Christian prophets in the world today, and they identify some modern prophets. Deacon Tim was working for Catholic Charities in upstate New York when he was asked to become a chaplain at a large car dealership in Tulsa, Oklahoma. He has now been serving in that capacity for 3 years. In this podcast, he describes the work he does, the reception he has received from his co-workers and some of the unique experiences that the work has involved. Corporate chaplaincy is not widespread, but it is something that is growing slowly but steadily around the country. What Is the Meaning and Purpose of Your Life? So often in our lives, we end up on something like a treadmill, repeating the routine activities in our life over and over. The busy pace of life in the United States reinforces this pattern. In this show, Deacon Tim and Cyndi discuss the importance of not only finding the meaning and purpose of life, but also of being open to changes and finding new levels of meaning. The questions Deacon Tim and Cyndi address in this program are: "Do we hear the music? Are we part of the music? Are we making music?" Deacon Tim and Cyndi continue their discussion of Islam, focusing on specific passages from the Koran and other Islamic documents. They also focus on the prospects for lasting peace with predominantly Muslim countries. One of the biggest questions facing the entire world is what to make of Islam. Islamic terrorists are active in virtually all parts of the world. Is Islam a religion of peace? What is the history of this popular religion? Deacon Tim and Cyndi explore the development and basic tenets of the Islamic faith. The recent movie "Risen," which presents a fictional account of the impact of the Resurrection of Jesus on a prominent Roman military commander, prompted this discussion between Deacon Tim and Cyndi. The conversation isn't so much about the meaning of Jesus' Resurrection as it is about what might have happened to the disciples and Jesus' own mother after He rose from the dead. Reflecting on the encounter between the risen Christ and His followers will help our listeners gain a deeper, even more inspiring perspective on the 40 days that came after the Resurrection of our Savior. When a loved one is near death, it seems that life dramatically changes. What normally seems important in our lives fades into the background, and new priorities take over. Deacon Tim and Cyndi discuss these new priorities. They conclude that these "new priorities" should be integrated into our lives independently of end of life situations. 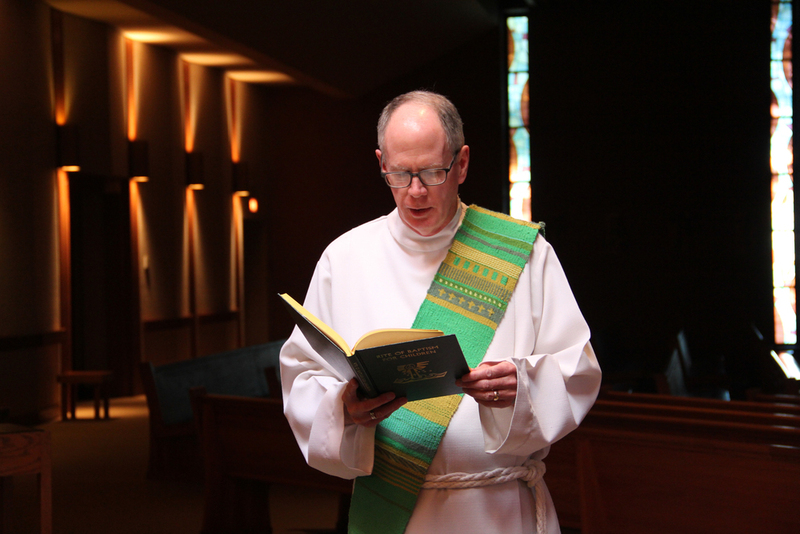 Deacon Tim has been seeing the word "intractable" in various religious commentaries recently. Though he could find only one passage in the Bible that actually uses the word, the concept of intractability can be found throughout the Bible. The more common scriptural expression with the same meaning is "stiff-necked." This refers to those who stubbornly resist God's commands, explanations and invitations. Listen to Deacon Tim and Cyndi's conversation, then you can determine whether intractability is something that might need attention in your own life. There are elements of our Catholic faith that we can understand, and there are aspects of our faith that are mysterious and beyond human understanding. Sometimes it helps us if we have images which inspire us and help us understand our faith in a more concrete way. Deacon Tim and Cyndi discuss some of these images in this podcast, which we think will increase your understanding and inspire you in your own spiritual growth. We received a suggestion to address the issue of habits. The listener indicated that in his opinion there were only bad habits, temptations to do the wrong thing that brought about constant battles. In this show, Deacon Tim and Cyndi indicate that good habits exist and are very possible and fruitful in the spiritual life. It takes discipline, but good habits can be developed and become ingrained in our lives. Pilgrimages: An Every Day Experience? What is a pilgrimage? What makes a pilgrimage special from a spiritual perspective? Deacon Tim and Cyndi discuss these questions and point out that the benefits of a pilgrimage can apply even to some relatively simple actions that are available to all of us. Being a pilgrim is as much a mentality as it is an act of traveling to a unique location. Is Faith Compatible with Reason and Science? The widely held view today is that faith does not mix well with reason and science. The Catholic view is that reason and faith are not only compatible but are necessary companions. In this show, Deacon Tim, assisted by his wife, Connie, explains the relationship between reason, science and faith. He also discloses some very surprising information about the contributions of Catholic priests to the field of science.